India’s External Affairs Secretary Subramaniyam Jaishankar arrived in Kathmandu this morning for a two-day official visit as the part of his SAARC Yaatra, literally meaning a visit to the seven countries of South Asian region. 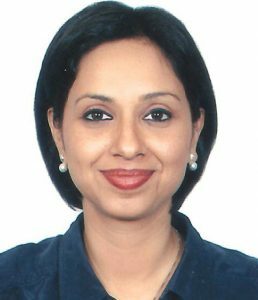 Indian Prime Minister Narendra Modi had announced the Yaatra two months ago, at the appointment of Jaishankar to the top foreign office job in India, with an anticipation to boost his ‘Neighbourhood First’ policy. This is the first visit of Indian Foreign Secretary Jaishankar to Nepal after his appointment on Jan 29. The Foreign Secretary said that India is committed to strengthen her multifaceted and mutually beneficial relationship with Nepal. “We support the aspirations of the people of Nepal for peace, stability and prosperity, he said. 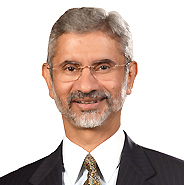 Jaishankar has held bilateral talks with his Nepali counterpart Shanker Das Bairagi at the Ministry of Foreign Affairs. He also paid courtesy call on Foreign Minister Mahendra Bahadur Pandey on Thursday itself. Kathmandu early August last year. countries would prefer not to talk Nepal’s internal matters in public, meeting rooms will certainly be abuzz over these developments. including a General strike on April 2, in order to facilitate the visit. Jaishankar will also call on President Dr Ram Baran Yadav and Prime Minister Sushil Koirala tomorrow. Jaishankar will hold talks with CA Chairman Subash Chandra Nembang, UCPN (Maoist) Chairman Pushpa Kamal Dahal and CPN (UML) Chairman KP Sharma Oli. Recently, Jaishankar had paid visits in four SAARC member states. Jaishankar reached Bhutan, Bangladesh, Pakistan and Afghanistan on March 1, 2, 3 and 4.